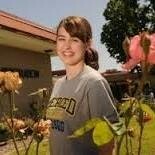 I have been attending Merced College for a while, but only recently moved to the area. Although some people view Merced as a small town, the town where my family lives is even smaller, so I have a different perspective. I think that Merced College is just big enough for there to be a variety of different opportunities for students, but small enough that it is possible to get a lot of support and mentoring from teachers, since they have more time to help students individually. There are also many opportunities for community involvement and recreation, and the town benefits from its proximity to UC Merced. The organization that is responsible for overseeing student activities on campus and governing the student body is ASMC (the Associated Students of Merced College). I was involved with ASMC as a Senator, as well as an Executive Vice President of the student government. I continue to be involved as a member of clubs under ASMC, and recently helped supervise a working retreat for students. Although I am no longer able to participate with ASMC in the role of an officer, my involvement with this group opened my eyes to all of the resources that are available to students: such as special interest groups, sports activities, annual events such as Diversity week, and other campus activities. There are also scholarships and conferences for which you can apply, and many different opportunities for academic mentoring and growth. Campus organizations help provide a sense of community and encouragement for students, as well as career guidance. I am convinced that becoming involved with ASMC is a great opportunity for international students, because they can get a stronger sense of American culture, use English and make friends, advance their careers, and the college environment can benefit from their unique viewpoints. 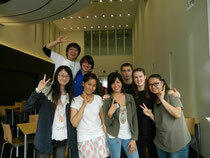 International students can challenge stereotypes and help local college students to have a more global understanding. I have desired for a long time to have an internationally-centered career and enjoy learning languages, but I was not always sure of the direction that I wanted to take with these interests. Participating in an internship at Osaka University of Economics and Law exposed me to different ways of thinking and to another culture. I also was able to compare and contrast the American and Japanese educational systems. After participating in the internship with OUEL, I feel that I have greater clarity about the future. Through my experiences with OUEL, I also realized how much I enjoy working with and teaching people of different backgrounds, and I became interested in Japanese culture and learning the language. My Academic Advisor had been aware of my indecision about how to proceed with my international interests. When I came back from Japan, he described that I had a “light in my eyes”, like I had discovered something about my purpose. I think it’s accurate to say that I feel closer to meeting my goals since going to Japan. My motivation has increased, and having more tangible goals has made it easier to be more intentional about the future. As a part of the Y.E.S. staff, I help to tutor students in our MCELI program, as well as giving office-related support, such as assisting with our homestay program and other projects. My goal for supporting students is to encourage their English language development, as well as to help them to develop better vision about their opportunities as an international student and future member of the workplace. I want them to get the most out of the resources that are available to them on campus and in the community, and encourage them to try their hardest at their studies. Some advice that I would give to those that are international students or are considering study abroad is, don’t be afraid of making mistakes! The only way to learn and become better is by trying. I think that fear can be one of the biggest obstacles that an international student will need to overcome in order to be successful, especially by those who are shy or are unsure about their language abilities. Everyone starts out a beginner, but the people that improve are those that are willing to work on their fears.